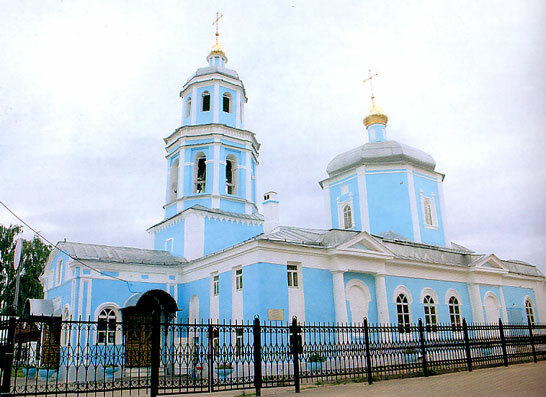 The initial church of the miracle-working icon of Our Lady of Tikhvin was built in Zaboulatchie (a district of Kazan on the left bank of Boulak-river) in the second half of the 17th century. At the end of the 18th century the masonry building of the church (left whole till now) was built. By the middle of the 19th century the church came to be in the center of Tatar Sloboda (formerly a suburbian district of Kazan) and so its parish was not very populous. The church won the fame and became prosperous due to the glory of the icon of Our Lady of Tikhvin. In 1859, during a conflagration in the Old Tatar district of Kazan there was a vision of the image of Our Lady appeared above the temple. The con­flagration immediately ceased. The event made an indelible impression upon the inhabitants of Kazan, the orthodox faithful and the Moslem Tatars both. The icon became one of the main sacred objects of Kazan. Nowadays this icon is placed in St. Nicholas cathedral. In 1898-1900 the enlargement and restoration works were conducted at the expenses of pilgrims. The works introduced to its appearance some typical shapes and decorations of the 19th century. 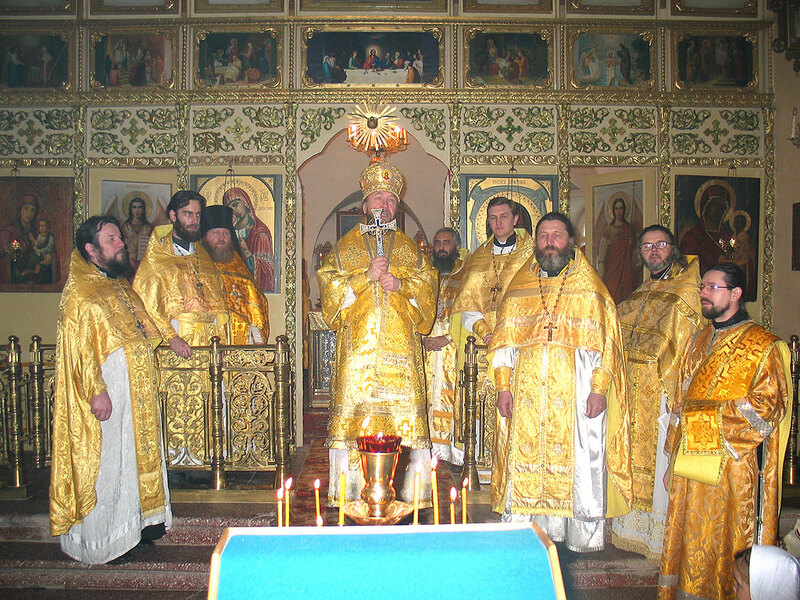 The church was returned to the diocese of Kazan in 1997. 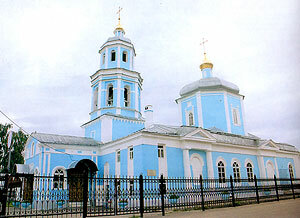 At present the Tikhvinskaya Church is turned over the Kryastchen community (the christened Tatar people). The office of the Kryastchen people of Tatarstan is accommodated at the Tikhvinskaya Church. The ecclesial parish school works here on Sundays. The Holy Scripture is being translated into Kryastchen language with the partici­pation of the Russian Bible Society. Divine services are mainly conducted in the Kryashen language.